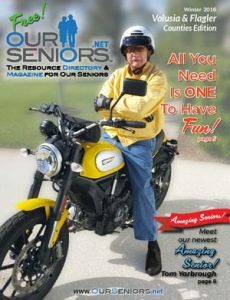 The latest edition of OurSeniors.NET Magazine is available NOW! 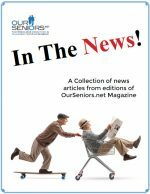 OurSeniors.NET Magazine is a FREE publication focused on providing informative and educational material to Our Seniors, their loved ones and caretakers. 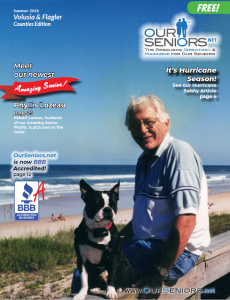 OurSeniors.NET exists to help Our Seniors make the transition to a senior lifestyle as easy and rewarding as possible. 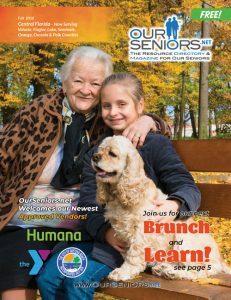 The OurSeniors.NET Magazine highlights the most current and relevant news that impacts Our Seniors and senior living lifestyles, and includes timely and trustworthy information on local providers of senior services and products. 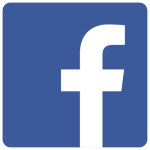 You can depend on OurSeniors.NET for accurate, timely and unbiased information and guidance. Our services are free, so don’t hesitate to call or write us when you have a question. 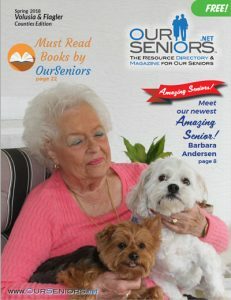 Please enjoy the OurSeniors.NET Magazine and send us your comments and ideas for future issues! 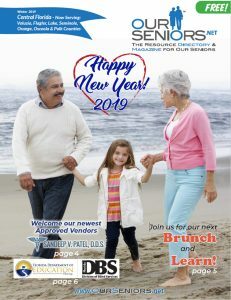 OurSeniors.net Welcomes our Newest Approved Vendors! All you need is ONE to have Fun! Are your medications making you overweight? 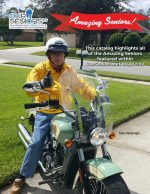 If you enjoy our OurSeniors.NET and OurSeniors.NET Magazine, please leave us a review. The information published on this magazine and our website is intended for residents of Florida, USA. It may contain general information about medical conditions, public and private health service organizations and other third-party information including but not limited to testimonials. The information is not advice (legal, medical or otherwise) and should not be treated as such. No claim is made as to the accuracy, authenticity or completeness of any information and, in fact is often provided in a generalized or summarized format for brevity. 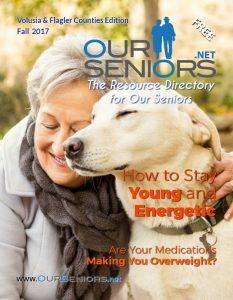 OurSeniors.net, Inc and or its subsidiaries, does not accept any liability for the information (nor for the use of any information) published on this magazine and or website. The information on this magazine and website are provided on the basis that all viewers undertake responsibility for assessing the relevance and accuracy of the content for their own individual circumstances. 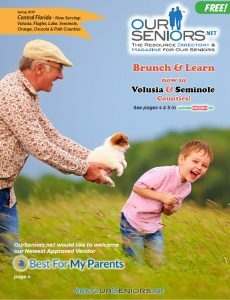 Thank you for reading our magazine and visiting www.ourseniors.net and please contact us if we can be any further assistance.